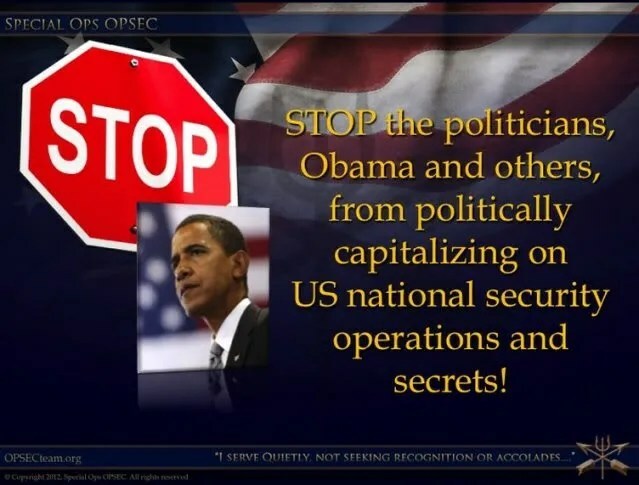 Obama: “Ultimately The Buck Stops With Me” US Security Issues? Barack Obama says “Ultimately the buck stops with me. When the system fails it is my responsibility.” President Obama took ultimate responsibility for the failure to connect the dots in the Christmas Day terror attempt on Northwest Airlines Flight 253 and emphasized that the country is at war with Al Qaeda, January 7, 2010. What about Benghazi, Libya Obama? Right, that one doesn’t count. 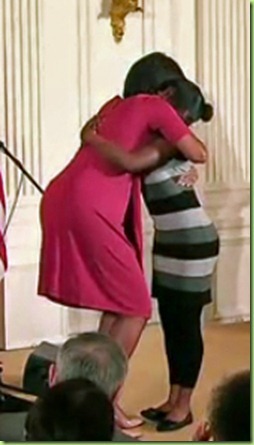 Michelle Obama‘s fascination with obesity is absolutely a National Security Threat. Michelle is making the rounds on the talk shows circuits lately. This time she was a guest on Dr. Oz show. Michelle Obama should make sure her husband is aware. Maybe Michelle had a duel major or a minor in Physical Education at Princeton University. Practice what you preach First Lady. This always perplexes me. Dishonorable Disclosures: Navy SEALS Start “Swift-Boat” Obama?